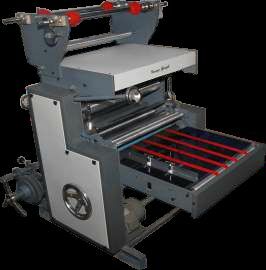 We are one of the leading Manufacturers, Exporters and Suppliers of Cold Lamination Machine. The Cold Lamination Machine is engineered to perfection by team of skilled engineers. The Cold Lamination Machine offered by us is attributed with sturdy construction, efficient working, hassle free performance and low maintenance requirements. We supply Cold Lamination Machine all across the world at competitive prices.